More than one person jointly possesses a thing where, for example, Person A may actually be in physical possession but Person B, while not in physical possession, owns the thing and has consented that Person A have it in Person A’s possession. Understandably, if you have been critically assessing the language of the Criminal Code, there seems to be a disconnect with how someone can be deemed to be in possession at all. For this, as alluded to above, the case law needs to be consulted. Possession has two essential elements that must be present in order to prove possession – knowledge and control. First, the accused must have KNOWLEDGE. Knowledge can be further broken down. To have knowledge, the accused must: 1) have knowledge of the nature of the thing possessed; and 2) it must co-exist with the element of control. CONTROL, requires proof that the accused had an intent to exercise control over the thing possessed. There are presumptions of control (i.e., if the thing possessed is in your room, in your house that you own, in your car, etc., you are presumed to be in control). Essentially, control requires the accused to have an ability to give or withhold permission. A hybrid creature of possession is “constructive” possession. Like possession, constructive possession requires proof of knowledge and control. However, it also requires consent. Unlike possession in the normal sense of its use above, the element of knowledge requires proof that the accused had knowledge (actual or implied) of the possession of the thing by another. Like control above, for constructive possession, control is proven where, in conjunction with knowledge, the accused had some measure of control or right of control over that thing. Finally, consent must exist. This means that accused must also consent to the other person having it in their possession. The CDSA covers a wide range of controlled substances (i.e., “drugs”). These drugs are organized into schedules. The penalty associated with possession will depend on which schedule the alleged drug falls into. In a nutshell, Schedule I drugs can be summarized as “hard drugs”. These include: street drugs such as heroin, cocaine, opium as well as a slew of pharmaceutical grade drugs such as oxycodone (“Oxys”), morphine, etc. Schedule II is restricted to Cannabis (“marijuana”, “weed”, “grass”), its derivatives and synthetic preparations (i.e., hashish). Schedule III drugs include the amphetamine family, including: methamphetamine (“ice”, “meth”, “crank”, “crystal”) and Lysergic Acid Diethylamide (“LSD”). Schedule IV include popular pharmaceuticals such as: diazepam, benzodiazepine and anabolic steroids. Schedule V lists only one drug, namely, Propylhexedrine. Schedule VI is restricted to precursors which are separated into three parts. Part 1 (Class A) includes precursors for drugs such as methamphetamine which include: ephedrine, pseudoephedrine and ergotamine. Part 2 (Class B) includes precursors typically used to prepare drugs such as cocaine and includes: ethyl ether, hydrochloric acid and sulphuric acid. Part 3 is a catch-all provision that covers any preparation or mixture of most precursors in Part 1 and 2, with some exceptions. Schedule VII refers to certain weight amounts of cannabis in the form of resin, or cannabis up to 3kg. Schedule VIII again refers to certain weight amounts of cannabis, cannabis resin up to 1 gram, or cannabis up to 30 grams. The penalties for possession of a SCHEDULE I drug range from six months in jail to seven years in prison depending on the circumstances. The penalties for possession of a SCHEDULE II drug range from six months in jail to five years in prison. The penalties for possession of a SCHEDULE III drug range from six months in jail to three years in prison. The penalties for possession of a SCHEDULE IV drug ranges from six months in jail to 18 months in jail. Now that you have an idea of the law surrounding possession, let’s work through the following fact situations and see if you can identify whether possession can be made out, and/or if it is sole, joint or constructive possession. Scenario A: Max buys a gram of marijuana (cannabis) from a buddy of his on December 12, 2010. Max hides the marijuana under his mattress for the night. The next morning, Max rolls the marijuana in to a joint, lights it and smokes it. As he is smoking it, Max heads outside to check the mail. As he checks the mail, he decides he’s had enough marijuana and decides to throw the joint (roach) down the sewer. As he finishes throwing the joint out, a police cruiser approaches. Max, scared, runs into his house and locks the door. The officer knocks on the door and identifies herself as a police officer. Max opens the door. The officer states she could smell marijuana and saw him with the joint. She arrests Max for possession of cannabis. Scenario B: Joanna is parked outside of a friend’s building waiting for her friend Sam to arrive. When Sam arrives, they drive off to a secluded park, where they both go for a leisurely walk down the path. During the walk, Sam pulls out a small clear bag with something in it. Joanna asks Sam what is in the bag and Sam replies, “these are the best psychedelic mushrooms you can find”. Joanna, nervous, asks Sam what the mushrooms are for. Sam replies that he wants to eat some now and bake with the rest later. Stunned yet complacent, Joanna lets Sam go about his business. Sam ingests half the bag containing 4 grams of mushrooms. Police had set up a sting operation in the area that very night. Sam and Joanna get caught in the crosshairs and are arrested for possession of a controlled substance. Scenario C: Donny is out at a bar with a friend, Marie. Marie is stunningly beautiful but also very innocent. Marie is always approached by other men and Donny does his best to protect Marie from being taken advantage of. Donny knows Marie and that she is quite vulnerable to men’s bar room antics. That night, at the bar, Donny and Marie get split up during a bar room brawl involving other patrons. In the confusion, Marie meets Shawn who offers to buy her a drink. Marie accepts the offer. In reaching for his wallet, Shawn pulls out a baggie with a small amount of white powder (later identified as cocaine). He asks Marie to hold on to the baggie while he pays for the drink. An undercover officer notices the transaction and finds Marie with the baggie and arrests Marie and Shawn for possession. Let’s see how astute you were at uncovering the possession. In Scenario A, there is no possession and yet there is possession. There is possession because the facts clearly state that Max bought and held on to cannabis. However, at the point where the Officer arrests, the joint was now lost so there is no possession. By the time the Officer arrests, there is no joint, no cannabis, no “thing” for which Max could be convicted for. In Scenario B, Joanna could be seen to have been in joint possession by the Officers. Let’s explore that. Are mushrooms of the kind ingested a controlled substance for which possession is prohibited? These “magic mushrooms” contain the drug psilocybin which is listed as a controlled substance in Schedule III. Was there knowledge? Did Joanna know the nature of the substance? Arguably, Joanna would have known that the mushrooms were not exactly legal, yet, she may have been innocently thinking these mushrooms were just something Sam liked to eat but didn’t think they were illegal. On the other hand, when Sam indicated that the mushrooms were psychedelic, maybe alarms should have gone off in Joanna’s mind, which may raise the issue of wilful blindness. Was there control? No. Sam at all times maintained control over the bag with the mushrooms and therefore, Joanna could not be said to have been in control. So, regardless of how the issue of knowledge is resolved, Joanna would escape criminal liability in these circumstances. In Scenario C, although Marie was technically in actual possession, that is, she was holding the baggie, Marie has an innocent character and it is reasonable to assume that she has never been around drugs or knows what they are. As such, the knowledge element is not made out. Would Shawn be held criminally liable? Well, he had knowledge as the baggie was his. He had control because he was able to give it to Marie to hold on to. But he was no longer in actual possession of it. Does this matter? Yes and no. Yes because without being in actual possession the facts militate against possession. No because, despite who was holding it, Shawn was in constructive possession because in addition to having knowledge and being in control of the cocaine, he consented to Marie having it in her person while he paid for the drink. Shawn would likely be found guilty on these facts of possession of a Schedule I controlled substance. As you can see, possession may be difficult to determine. It is fact driven. While these facts may be simple, possession comes in a variety of circumstances. If you are charged or being investigated for possession, you would be wise to seek legal advice. The lawyers at Aitken Robertson are skilled at analyzing drug cases. Let Aitken Robertson shed light on your legal issues. Unlike possession, trafficking is defined in the CDSA as to, “sell, administer, give, transfer, transport, send or deliver the substance, to sell an authorization to obtain the substance, or to offer to do anything mentioned [above]” in relation to a controlled substance or being held out as a controlled substance. As you can see right from the definition, the exchange of money is simply not required. A mere transfer of a controlled substance from person A to person B can amount to trafficking. Even a “gift” of drugs can prove trafficking. What are the penalties for trafficking? If the drug is listed in Schedules I and/or II, the maximum term of imprisonment is life (25 years). If the drug is listed in Schedule III the penalties range from a maximum of 18 months in jail to 10 years in prison. If the drug is listed in Schedule IV the penalties range from a maximum of one year in jail to three years in prison. Scenario A: Timothy lives at home with his single Mother. As a hobby, Timothy and his Mom plant various herbs, fruits, and vegetables in the garden. Amongst those is the oregano plant. After work, Timothy also works out at the gym and uses various supplements to help him meet his fitness goals. One day, Timothy receives a bill from his cell phone carrier for $500. Timothy reviews the bill and, in fact, he made all the calls they say he did and so knows he has to pay his bill. Timothy doesn’t have the money to pay the bill. At a friend’s place, Timothy asks his friend for advice. Jokingly, Timothy’s friend says, “sell some crack, that’ll make you money”. Timothy, although laughing, asks his friend how he would even go about doing that as he doesn’t know anyone in the drug business. His friend says, “Man, just sell protein powder as coke…by the time anyone figures it out, you’ll be long gone and richer”. Timothy leaves and goes home. While there, he notices his protein powder could easily pass for cocaine. As he ponders the idea, he grabs some dried oregano and realizes it could pass for marijuana. Timothy packages up the protein and oregano and heads over to a bar where he knows people do drugs. Almost immediately Timothy finds a client. He sells 7 grams of weed (oregano) and 2 grams of cocaine (protein powder). The person buying the drugs is an undercover officer. Timothy is arrested for trafficking. Scenario B: Kelly and Valerie are getting ready to go to a house party where there are going to be lots of “cute boys”. They want to have an edge at the party so they obtain some hashish and prepare a bong for it. At the party, Kelly and Valerie announce they have the drug and are approached by two really attractive men – the very attraction they were seeking. They are outside smoking it when a neighbour smells the drug and calls the police. Police arrive and witness Kelly passing the bong to Valerie, saying, “your turn”. Police arrest Kelly and Valerie for trafficking. Scenario C: Darryl and his wife Stefanie had a few people over to celebrate a long weekend. While at the party, Darryl finds a joint. He decides he is going to throw it out. On his way to the trash can, one of Darryl’s friends falls and hurts himself. Darryl puts the joint down on the kitchen table and assists his friend. Darryl, after helping his friend, goes to get the joint to throw it out. His wife asks what he is doing with a joint. Darryl, in shock says nothing. Stefanie says to Darryl, “oh, uh…well, can I have the joint?” Darryl agrees and gives the joint to Stefanie. One of Darryl’s friends is a police officer and notices the transaction. He says, “Well, I mean, I am at your house so I will overlook what I just saw, but just so you know, this is trafficking and both you and your wife can go away for a long time. I would suggest getting rid of it.” Is the officer right? Scenario D: Julia is at a bar when a man approaches her and says, “Hey girl, I got a few rocks to move ya know. Know anyone that can help me move these [shows her the cocaine]?” Julia, not knowing who the man is says, “No sorry”. The man says, “Hey, just help me out. If you sell it I’ll give you $100”. Julia, strapped for cash but still cautious says, “Are you a cop or something?” The man replies, “Nope”. Julia agrees and sells the cocaine. After she does so, the man reveals he is an undercover officer and arrests Julia for trafficking. Let’s see if you were correct in uncovering the trafficking. In Scenario A, there is trafficking. Although what Timothy trafficked is really oregano and protein powder – both non-prohibited substances, Timothy held them out to be drugs. That is enough to render him criminally liable. In Scenario B, Kelly and Valerie would likely NOT be found guilty of trafficking. While they may be found guilty of joint possession, trafficking involves the transfer of ownership. Passing a bong around is not likely to be considered trafficking, though, some may argue otherwise. In Scenario C, the officer may be right. Because Darryl arguably took ownership of the joint under “finder’s keeper’s law” he has a better right to it than anyone else in the world except for the actual owner. Assuming that Darryl had the requisite level of possession when he gave the joint to his wife, this is where it gets tricky. Whatever Darryl finds in his home is both his and his wife’s. As such, you are not likely able to traffic to yourself. In other words, because Darryl and Stefanie both own the joint, it is not likely that there is any trafficking. That being said, the officer may be right because the simple gesture of giving a drug to someone may constitute trafficking for the purposes of the CDSA. In Scenario D, there is clearly trafficking. However, Julia may escape liability because she may raise the defence of entrapment. Here, an officer enticed her to traffic without Julia approaching the officer first. So, while Julia may be charged, she would likely not be convicted. As you can see, trafficking can come in all forms. Contact Aitken Robertson for your free consultation if you have been charged or are being investigated for drug related offences, or other criminal offences. 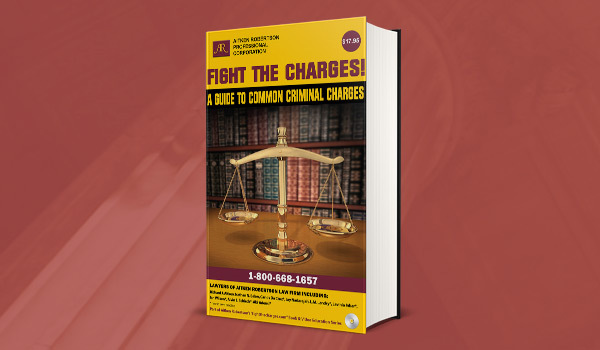 Fight Your Ontario drug charges! Call our lawyers at 1-800-668-1657 or visit one of our offices to get a free 30-min consultation.